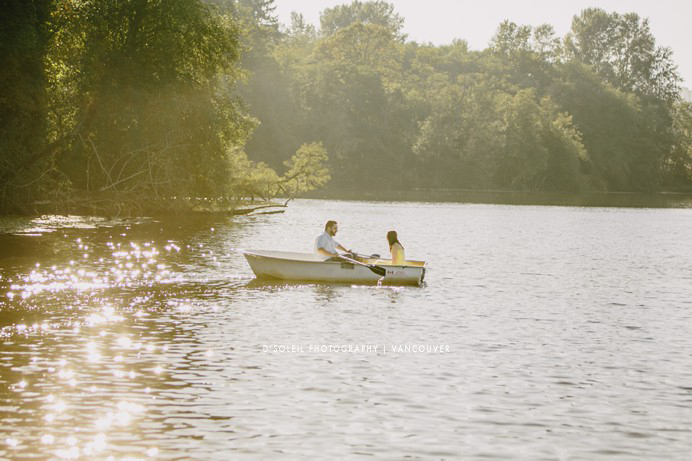 Laura + Sean had a great idea for an engagement session – a Deer Lake engagement session “on” the lake itself. In a row boat that is. 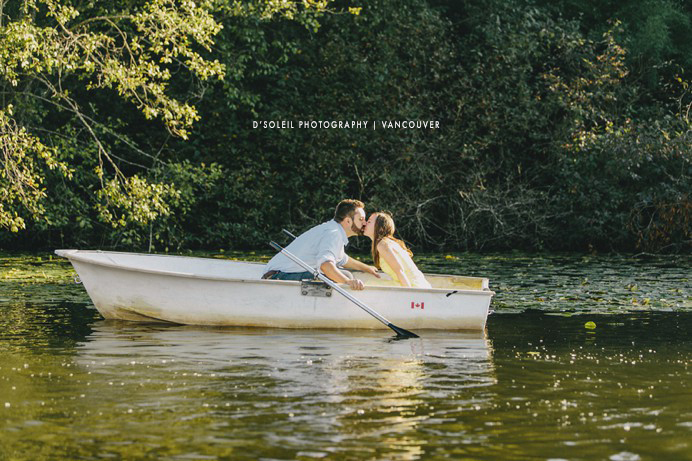 It was one of those warm late summer afternoons when we met up for photos at Deer Lake in Burnaby. 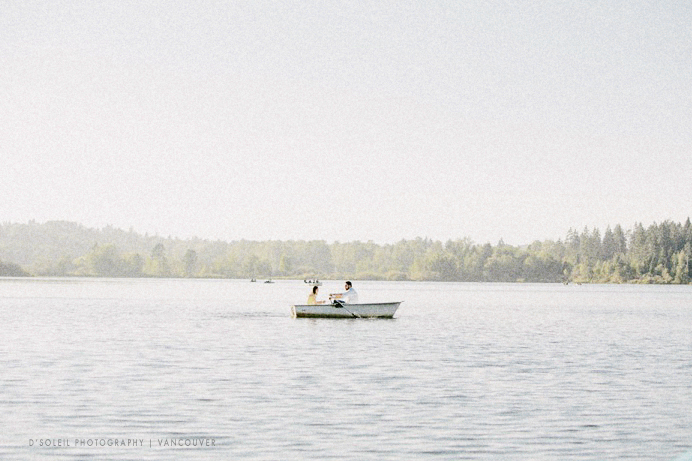 Laura and Sean reserved a boat that afternoon and told them we would be taking the boat out in about 15 minutes or so. 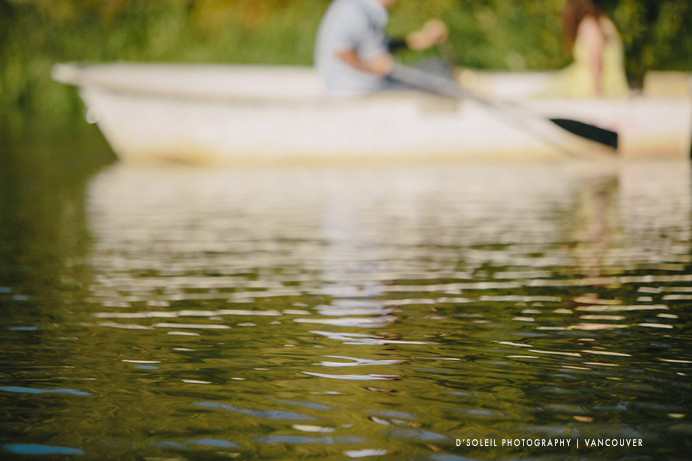 Over an hour later (after spending some time in other parts of the park) they were finally in the boat, rowing around, enjoying the last few days of summer. 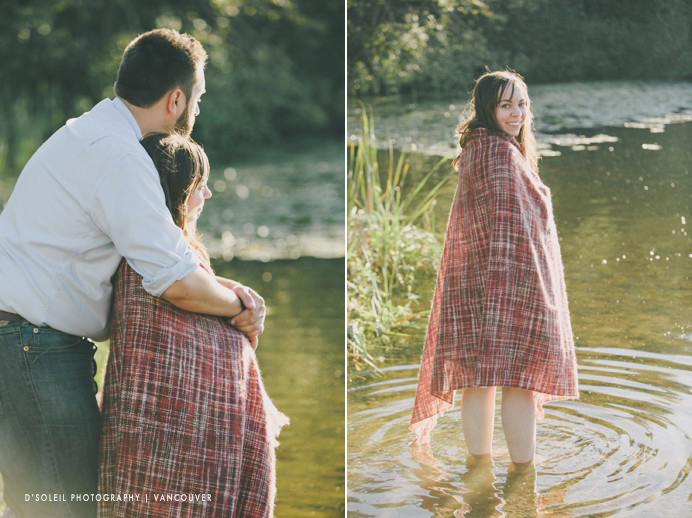 One of my favourites parts of the photo session was when Sean rolled up his jeans and spent a little time in the lake with Laura. 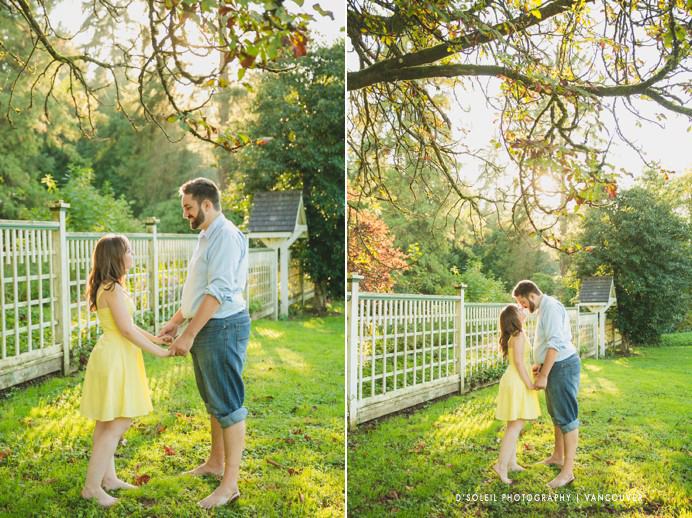 Toward the end of the Deer Lake engagement session, we got some really good evening light, which allowed me to shoot these last couple of photos before we ended the day.